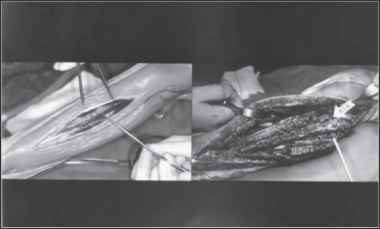 D, One week following replantation of the forearm. 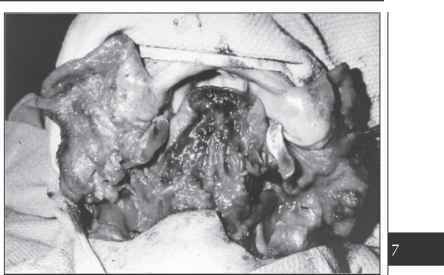 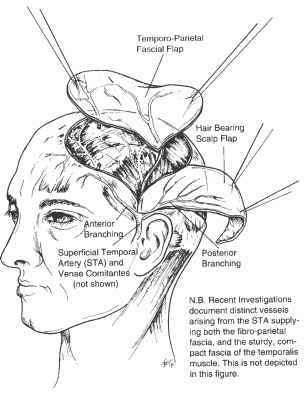 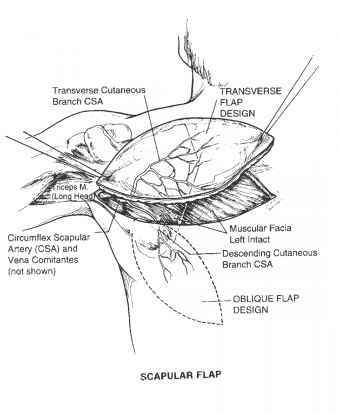 A lattisimus dorsi free flap was used immediately for soft tissue coverage. 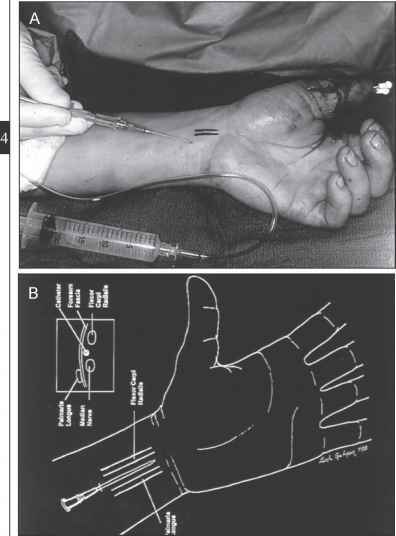 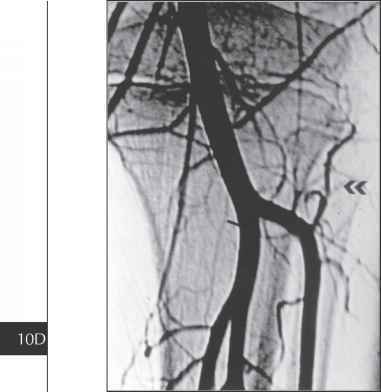 An end-to-end reversed saphenous vein graft was used to reconstruct the brachial artery. 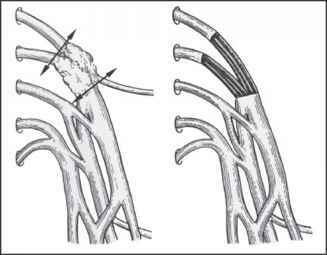 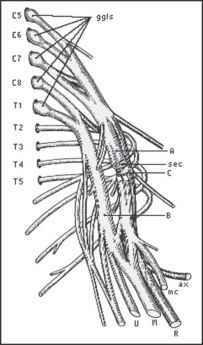 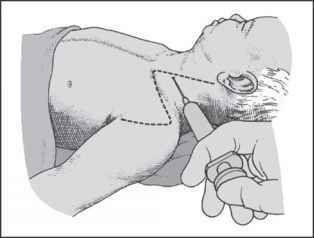 The thoracodorsal artery of the latissimus dorsi muscle was supplied through an end-toside anastomosis to the reversed saphen-ous vein graft. 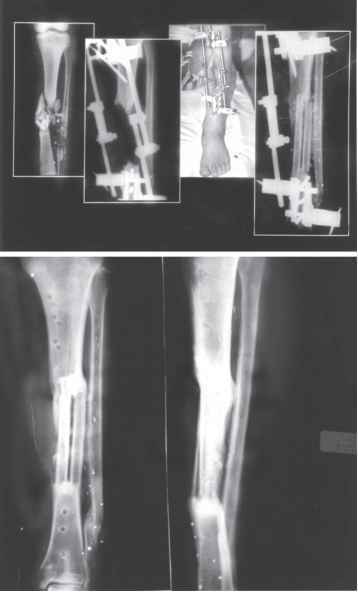 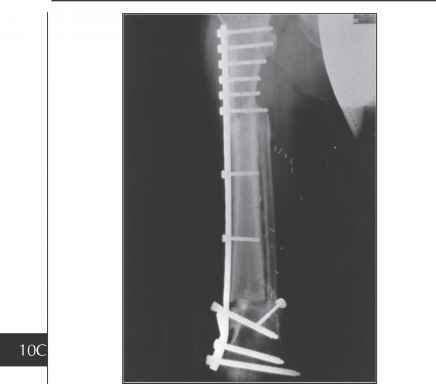 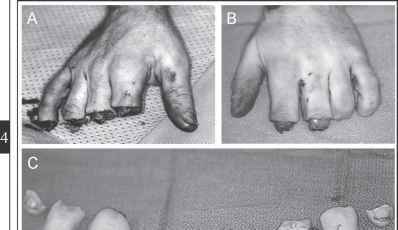 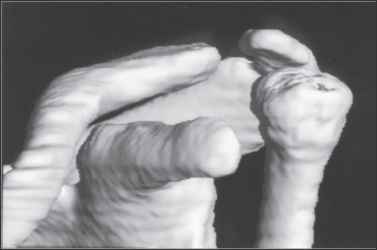 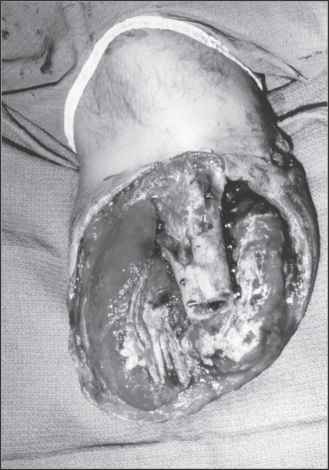 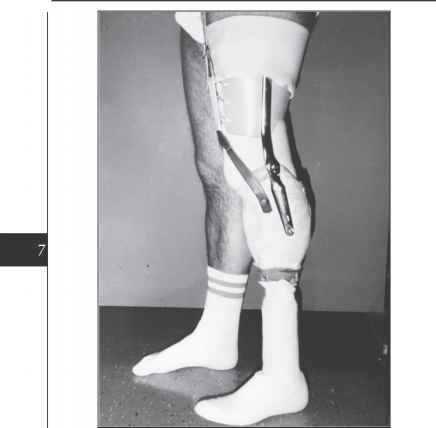 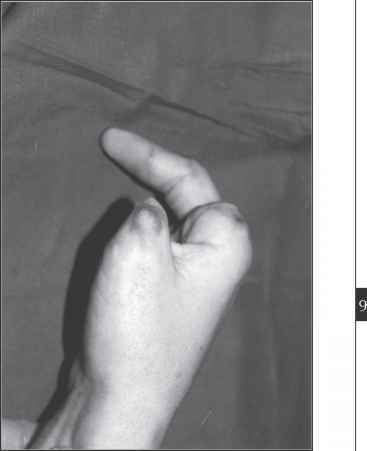 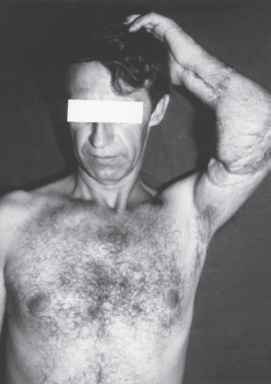 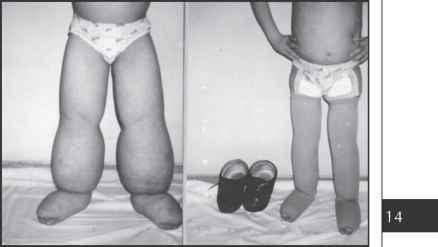 E, Appearance of the extremity nine months following replantation. 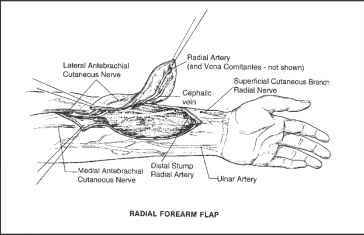 The groin flap provides a large skin and subcutaneous tissue territory based on superficial circumflex iliac (SCIA) artery and vein. 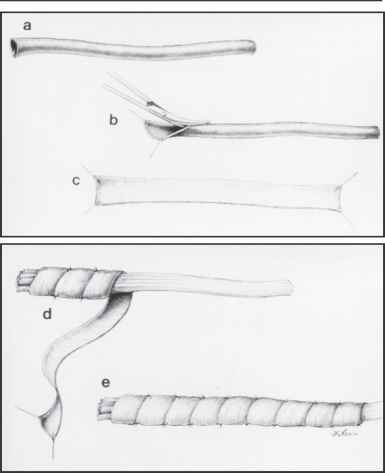 The length of the pedicle is 2 cm and the diameter 1.5 mm. 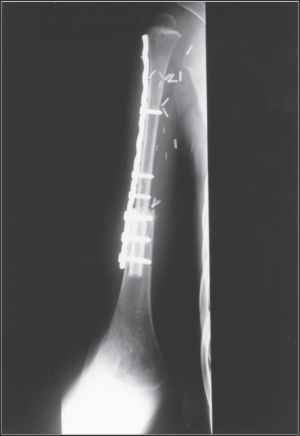 The dimension of the flap can be up to 10 x 25 cm2. 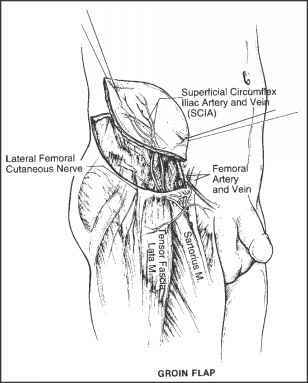 Preliminary expansion of the lateral groin skin beneath the deep groin fascia will expand flap dimensions and allow direct donor site closure (Fig. 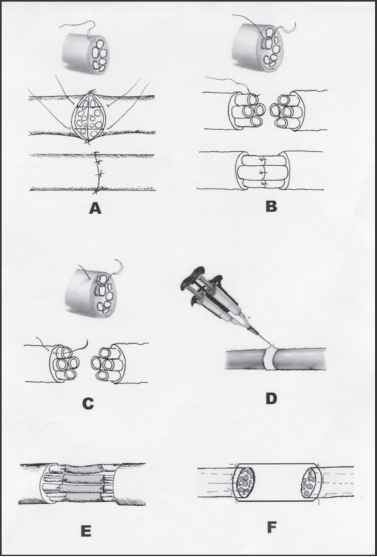 8.5).